On this week’s episode of Supergirl season 3, Kara Danvers and Mon-El traveled to the city of Argo. 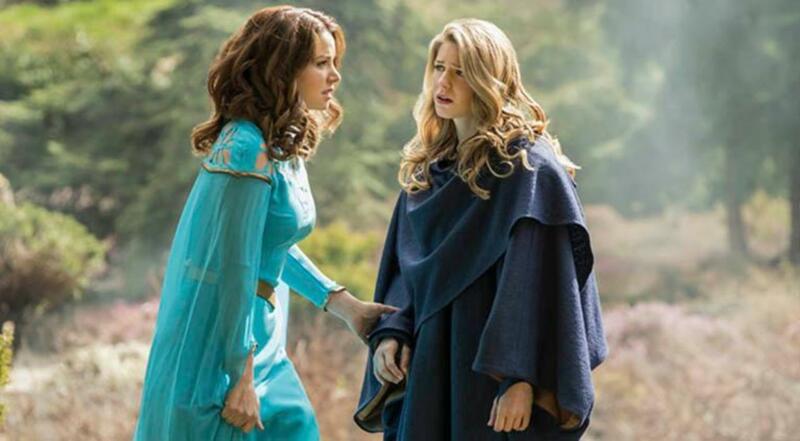 They discovered this was a city full of surviving Kryptonians, including Kara’s mother Alura. Episodes where the characters of Supergirl travel to other planets are peak silliness. From the outfits to the cheap sets to the near constant exposition about mythology, it all feels ridiculous. That can be charming or embarrassing and it generally comes down to the character development and emotional resonance contained in the story. Kara’s story was mostly about how she can “be herself” in space. The implication that Kara Danvers is a carefully crafted persona she puts on to live among humans is underdeveloped at best and bone chilling at worst. Meanwhile, Lena Luthor was faced with the possibility that she’d have to murder Sam Arias to save the world if Kara didn’t get back in time. This plot was genuinely gripping, but also negatively impacted Kara’s scenes. As she sat around catching up and shared lengthy goodbyes, I kept thinking about Lena facing a monstrous choice and operating under the assumption that Kara would actually be working to get back promptly. Of course, since this is TV, Kara got back just in time regardless. Alex Danvers went after a criminal who was seeking revenge on her for locking up his twin brother. The episode tried badly to tie this into Kara’s plot but it fell flat. Furthermore, it didn’t really work on its own. Lena’s emotional takeaway was that she has a dangerous job. She worried what this would mean once she has a child. Someone stressing about something so far in the future felt out of place with all the imminent danger. In a minor subplot, Winn Schott looked after Ruby Arias. Winn bonding with her over the fact that both of their parents have tried to murder them and they’ve both wondered if they’ll also turn into monsters was an interesting concept. But, the actual scene was pretty shallow. Also check out my review of last week’s episode of Supergirl season 3.